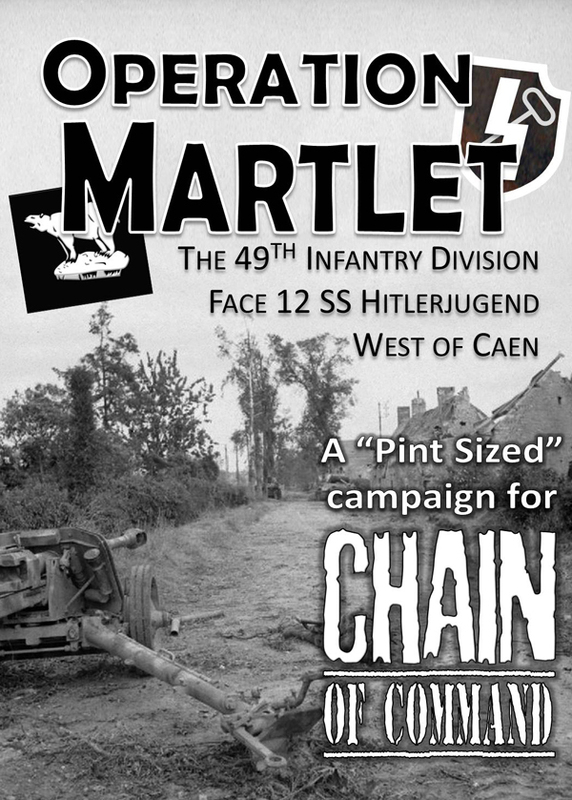 Today sees the release of the latest ‘Pint-sized’ campaign book from Too Fat Lardies for their Chain of Command World War II platoon-level rules. 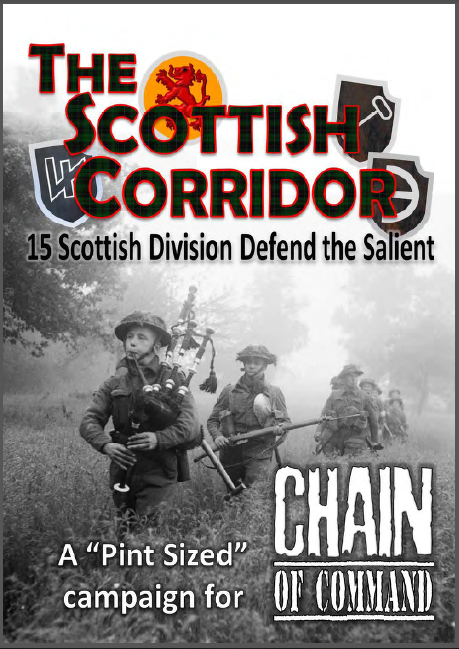 The Scottish Corridor is the second in a series of campaign books looking at the battles around the city of Caen after D-Day, and follows directly on from the previous book, Operation Martlet. 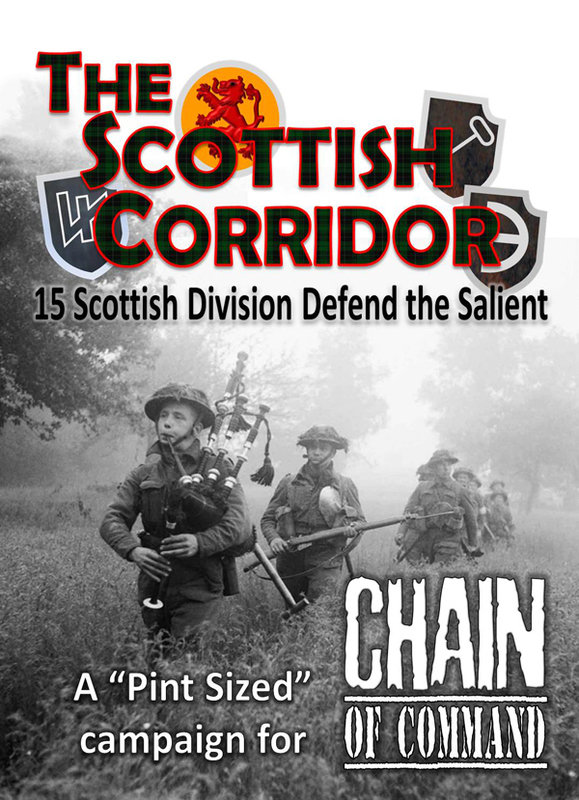 This new campaign follows the German counter-attack against the 15th Scottish Division on the third day of Operation Epsom: 28th June 1944. In this campaign, fought across six battlefields, two different German Kampfgruppe comprising of a mix of Heer and Waffen SS fight against a British Infantry Platoon. As always, the campaign book features an historical background to the campaign and several period maps. It’s another great resource for World War II gamers, and whilst written for Chain of Command, is suitable for use with any Platoon-level WW2 rules.